Cookies & Cupcakes Oh my! 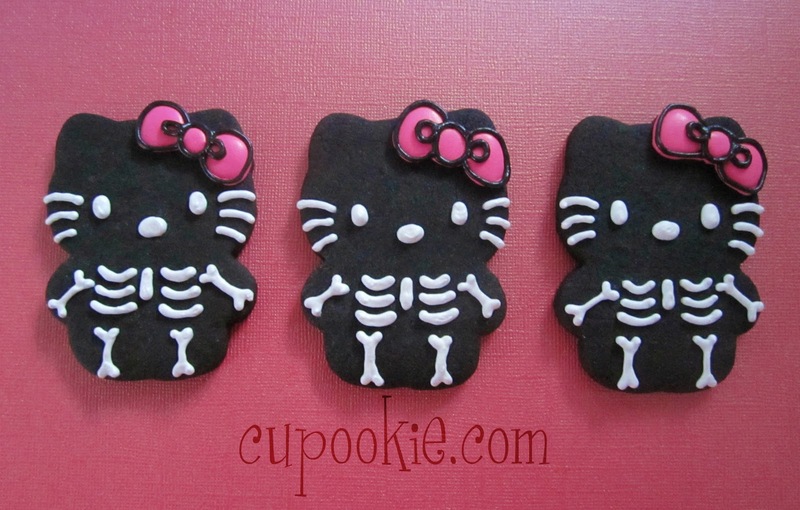 I saw this cute image on an invitation and of course I thought....ooohhh that would be so cool if I made a cookie like that. Well these came out mighty cute I may say. I didnt want to ice the whole cookie black....since black icing tends to leave your mouth & teeth black haha. So I read on LilaLoa's blog that if you add some drops of black food coloring into your chocolate cookie dough you will get black cookies. No black teeth & no aftertaste. WOW this is brilliant!